digitalundivided produces programs and events aimed at increasing the number of women of color in the tech industry, including FOCUS, the world’s most diverse tech conference (over 80 percent of speakers are women and/or people of color). 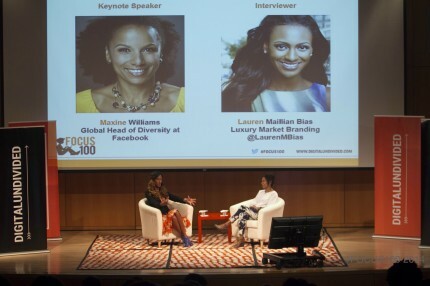 Speakers confirmed for the conference this October in NYC include FCC Commissioner Mignon Clyburn and Facebook Head of Global Diversity Maxine Williams. It was founded by entrepreneur Kathryn Finney, who was named a Champion of Change by the White House for her leadership in breaking down barriers in the tech industry. digitalundivided presents The BIG Demo Day 2016 powered by Capital One from digitalundivided on Vimeo. Six high-growth tech startups led by Black and Latina women made their case for capital at the first-ever demo day hosted by digitalundivided’s BIG, the ambitious new accelerator program dedicated to growing startups founded by female entrepreneurs of color. Coverage of the event included NPR-Atlanta (WABE-FM), NBC-Atlanta’s Tech City, Startup Southener, and Black Enterprise. PKPR booked digitalundivided founder Kathryn Finney on Bloomberg TV’s Bottom Line today to discuss what her organization is doing to increase the number of women of color working in the tech industry. As part of it works to increase diversity in the tech industry, digitalundivided brought hip hop legend and tech investor MC Hammer to Detroit last week to discuss tech, startups, and the future of entrepreneurship in the black community. 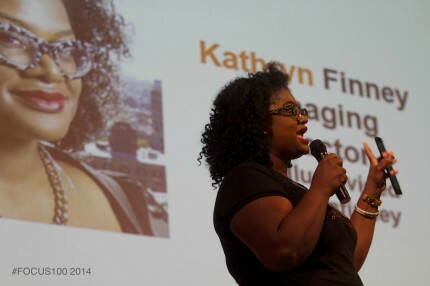 In the wake of Twitter last week revealing that African-Americans and Latinos account for less 9% of its global workforce, PKPR reached out to major media to secure interviews with digitalundivided founder Kathryn Finney, who was named a Champion of Change by the White House for her leadership in breaking down barriers in the tech industry.